Reliable work vehicles need more than a powerful engine, impressive towing capacities, and good warranty protection. The 2018 Mercedes-Benz Sprinter has all of those qualities, but it also offers another great feature: generous interior dimensions. Offering one of best interior standing heights and a massive cargo area, the Sprinter Vans let you haul everything you need for a job well done. Plus, the new Sprinter lets you move about freely inside its cabin, promoting safety and productivity. The Sprinter Worker Cargo Van is offered with a maximum of 486.5 cubic feet of cargo space when properly configured. Choosing the Sprinter Cargo Van gives you more options in terms of rear storage volume. With the 144-inch wheelbase and standard roof configuration, you’ll get 319.1 cubic feet. Bumping up to the Sprinter Cargo Van with a 170-inch extended wheelbase and a high roof gets you 530 cubic feet. 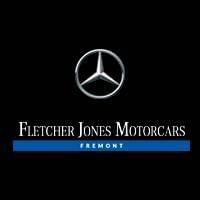 Step Inside a Sprinter at Fletcher Jones Motorcars of Fremont! Take the short trip from Milpitas or Sunol to explore the Mercedes-Benz Sprinter interior dimensions and Sprinter accessories at Fletcher Jones Motorcars of Fremont. After comparing the Sprinter vs. Ram ProMaster and other competitors, be sure to schedule a test drive online, or visit us near San Jose and Newark. Schedule service for your current Sprinter and be sure to ask about our Sprinter specials!